Cryptocurrency has been heralded as the next big financial boom to emerge from Silicon Valley, but for music producer DJ Khaled and pugilist Floyd Mayweather Jr., it has resulted in fraud charges from the U.S. Securities and Exchange Commission (SEC). As CNN reports, both Mayweather, 41, and Khaled, 43, were charged on Thursday for promoting the initial coin offering (ICO) of a new form of cryptocurrency from Centra to their vast network of social media followers — without telling those followers they were being paid to do so. Mayweather, reports CNN, failed to disclose that he’d been paid $300,000 from three different ICO issuers, including $100,000 from Centra; similarly, Khaled failed to disclose that he’d received $50,000 from Centra, with both celebrities touting the advantages of getting in on the ICO early (Khaled called it “a game changer” on Instagram, while Mayweather told his followers he’d already invested, and urged them to do the same). 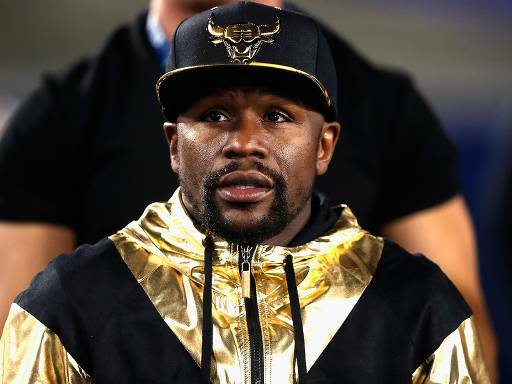 Floyd Mayweather attends the game between the Kansas City Chiefs and the Los Angeles Rams on November 19, 2018 in Los Angeles, Calif.
“With no disclosure about the payments, Mayweather and Khaled’s ICO promotions may have appeared to be unbiased, rather than paid endorsements,” Steven Peikin, the SEC’s enforcement division co-director, told CNN. “Social media influencers are often paid promoters, not investment professionals, and the securities they’re touting, regardless of whether they are issued using traditional certificates or on the blockchain, could be frauds,” he added. According to CNN, both Khaled and Mayweather have settled with the SEC “and agreed not to promote any securities, even digital ones, for two years and three years, respectively.